PCM has provided Inspection, Project/Construction Management, Budgeting, Scheduling, Value Engineering; Change Order, Estimating, Start-up and Client Representation services on a number of public and private projects for electrical and telecommunications and other utility projects. PCM’s provided design/build services for a 220,000 sq. ft. fit out and expansion of existing Alcatel industrial and office spaces, consisting of structural upgrades, electrical housing, extensive electrical and telephone equipment, testing areas and special HVAC. PCM provided Cons. Management and Insp. Services for the Telecomm. Infrastructure. The Work, phased and sequenced to facilitate the on going use and operations of the campus, spanned between 3/19/02 and 10/15/03. The exterior (OSP) work was performed in 8 phases. 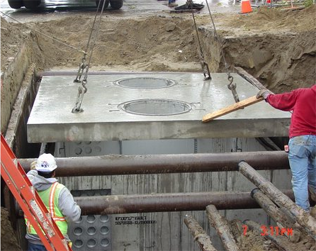 It included surveying, existing demolition, utility locating, traffic control, saw cutting, 33K lf of trenching for duct banks containing from 2 to 24 ducts, the installation of 4” conduits and 1” inner duct, the installation of 45 manholes ranging in size from 3’x5’x4’ to 8’x16’x7’, the installation of 69K feet of 6 to 216 strand fiber optic cable, the installation of 31K feet of 25X to 1800X copper cable, the relocation of existing utility services, and the replacement and restoration of all Impated paving, hardscape, landscape irrigation systems. The interior (ISP) Work was performed in 9 phases and involved 40 buildings through the campus. It included the abatement of asbestos, build-out of new and renovated MDF, IDF and IDF comm. 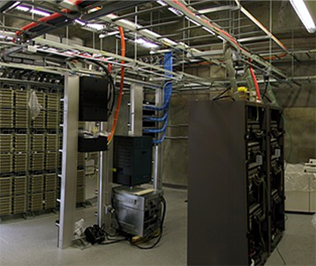 rooms complete with all necessary telecom, HVAC, Electrical, Instrumentation and fire-safety equipment, the installation of cable trays and ducts, Cat5e cable, FO cable and the testing, cutover and turnover of a structured cabling system that upgraded and expanded the campus telecomms. infrastructure and provided a comprehensive and integrated voice and data infrastructure. Valued at $4.92 million. Completed in October 2003. 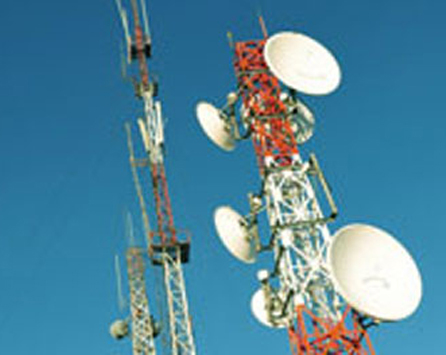 PCM provided Construction Management, and Inspection Services for the Telecom Infrastructure. The Work included the construction of new backbone pathway systems and the placement of new backbone copper and air blown fiber optic cable to interconnect the campus computing center and voice switch with all of the buildings included in the scope of this project, including trench excavation, directional boring and installation of duct banks, as well as pull boxes, manholes and junction boxes and the restoration of all roadways and surface facilities impacted by the installation. The installation, testing and turnover of copper cable, air blown fiber optic cable and tube cable, all cables terminating in building entry rooms or building distribution frame (BDF) rooms, and the removal of all non-working cable, obsolete copper, fiber, and coaxial.Valued at $5 million. Completed in July 2007. 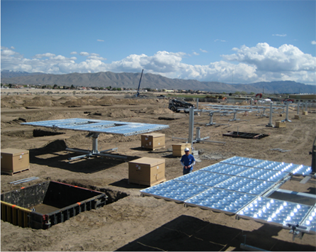 PCM was the Program Manager for the development of a solar farm of over 1MW located on the Victor Valley College campus. PCM has, through it’s construction division, directly installed many solar systems and holds both a B and a C46 (solar) contractor’s license. PCM provided all pre-construction services including budgeting, scheduling, oversight of coordinated the process with Southern California Edison, the College, SolFocus (equipment supplier) and other stakeholders. The construction was completed in 3 months, commissioning took another 2 months as the proprietary CPV system had to be re-calibrated due to manufacturing tolerance issues. The project was still completed on time and on budget and the system is currently producing 2.5 million kWh of electricity for the College and the grid. A major component of this project was the extension of the campus “backbone” and electrical loop (4.16kV) and coordinating all the work, main connection, disconnects, and other work with Southern California Edison.Completed between August 2009 and July 2010.